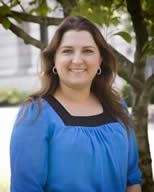 Rana D. Spurlock is a 1994 graduate of Cadiz High School and a 1998 graduate of Wheeling Jesuit University with a Bachelor’s of Arts in Professional Writing. She began her career in advertising, but moved into the development field in 1999 and has held development and fundraising positions for various non-profit institutions for the last 17 years. Her experience includes grant writing and management, public relations, database management and planning special events. She is currently WVNCC’s Fundraising and Development Assistant and the coordinator for its Foundation. Rana is a member of the Association of Fundraising Professionals, Council for Resource Development and the Ohio County Rotary. She is a trained Compression Planner through McNellis Associates. She currently resides in Wellsburg, WV with her husband, Mitchell E. Spurlock, her son, Cole T. Sperlazza and her daughter Elise K. Spurlock.